There may not be a fountain of youth, but there are a number of real world anti-aging treatments that can help turn back time and leave you feeling more youthful and rejuvenated. One of the more popular anti-aging procedures available is chemical peel, which targets the damaged outer layer of the skin. You might look like something out of a horror film immediately after treatment, but the results tend to be well worth it. DID YOU HAVE A CHEMICAL PEEL? Using an acidic chemical solution, the peel literally strips the surface layer of skin to reveal a smoother, more youthful layer beneath. Results vary, but most people who undergo a chemical peel end up with a brighter complexion, fewer facial lines, reduced wrinkles and scarring, and enhanced skin color. Unfortunately chemical peels cannot be used to address all skin concerns, notably deep facial lines, severe scarring or skin sagging and broken capillaries. Other facial treatments will be required for these types of issues. Light or superficial peel: This “lunchtime” peel (it’s so minor you could get it during a lunch break without much hassle) is the mildest of the bunch. Minor discoloration or rough skin is best treated with this basic peel approach. Medium peel: This is the Goldilocks of chemical peels… not too mild and not too strong. It’s a middle-of-the-road approach that penetrates both the outer and middle skin layers to improve age spots, treat fine lines and wrinkles, and even treat unwanted skin growths. Deep peel: The strongest approach to chemical peel, the deep peel is used to penetrate several layers of damaged skin. Unlike the other types of chemical peel, it is only used for facial peels and can only be performed a single time. But for more stubborn scarring, skin discoloration, sagging, age spots, etc. a deep peel might provide the best results. The chemical peel procedure is pretty straightforward and lasts a mere 15 minutes on average. The skin is cleaned and a chemical solution (phenol, trichloroacetic or alphahydroxy acid) is applied to the treatment area. The acid works to quite simply strip away the outer surface of the skin while also stimulating the healing of new skin cells underneath. Recovery time varies, but it typically takes one to three weeks before you’re results are fully realized. Depending on what you hope to achieve, you may require multiple treatment sessions. Results can last several months before the signs of aging begin to resurface. In the immediate aftermath of treatment you will be advised to avoid contact with the sun as you’re more susceptible to its damaging ultraviolet (UV) rays. “Broad-spectrum” sunscreen should be applied daily for protection — even after your skin has healed. The million dollar question… “Does it hurt to get a chemical peel?” Unfortunately there is no simple answer to that because everyone has a different pain threshold. What is mild and minimally uncomfortable to one person might be agonizing to another. At the end of the day, you are stripping away a layer of skin using acid, so there is some level of discomfort involved. Generally speaking, you may experience stinging or tingling in the treatment area, but you shouldn’t experience any real pain; even with the deepest of chemical peels. Irritation and swelling can be expected, but you will be given a number of creams and gels to aid in your recovery. During the procedure, you may have the option to take a sedative or painkiller to help offset any discomfort and make the experience easier. Are you a Candidate for Chemical Peel? This is a question that can only be answered by a qualified dermatologist or plastic surgeon. However, there are general guidelines for candidacy that can help you to identify whether or not it might be a fit for you. People with a fair skin tone and light-colored hair often are excellent candidates, though that’s not always the case if you have other underlying considerations. You have red hair and pale freckled skin. You are of Afro-Caribbean or Asian descent. You are nursing or pregnant. You have a skin condition like eczema or psoriasis. You have used certain acne medications or other prescription skin care products recently. If you are considering a chemical peel, you should set up a consultation with a professional to evaluate your concerns and discuss your options. As with any cosmetic treatment, there are a variety of factors determining the price. The type of peel, the number of treatments required and aftercare are just a few of the variables that can impact the cost of a chemical peel substantially. That said, the American Society of Plastic Surgeons listed the national average cost of a chemical peel in 2014 at $632. You should expect to pay anything between $75 and $750 for your treatment. Chemical peels are considered cosmetic and therefore not covered by insurance. 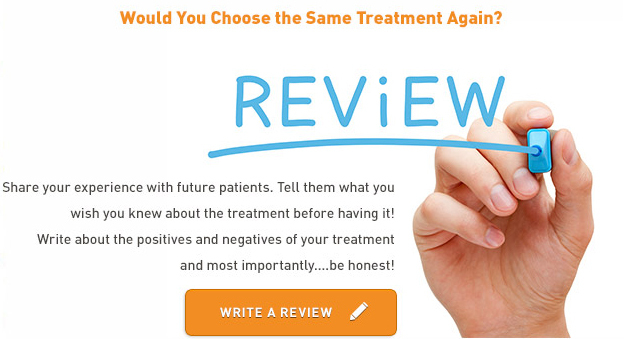 In order to get a better idea of cost, schedule a consultation with a qualified dermatologist or plastic surgeon.